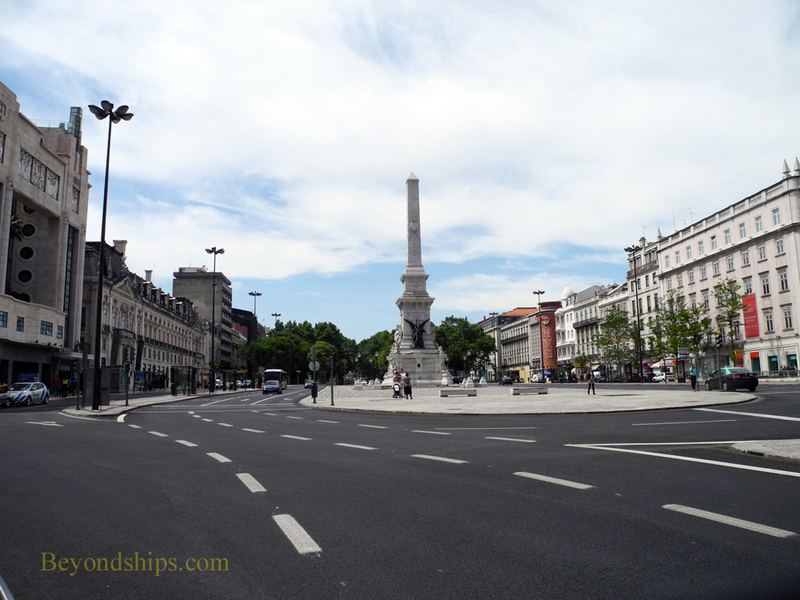 The main avenue of Lisbon is Avenida da Liberdade. This is a broad tree-lined thoroughfare created in 1879 and was modeled after the Champs Elysees in Paris. It is a prestigious address with high-end shops, hotels, theaters, and mansions. Praça dos Restauradores marks the downtown end of Avenida da Libertarde. A large oval plaza, some interesting buildings are located here. The Baroque Palacio Foz was built in the 18th century. Inside, it is decorated with gilt, marble pillars and painted ceilings. 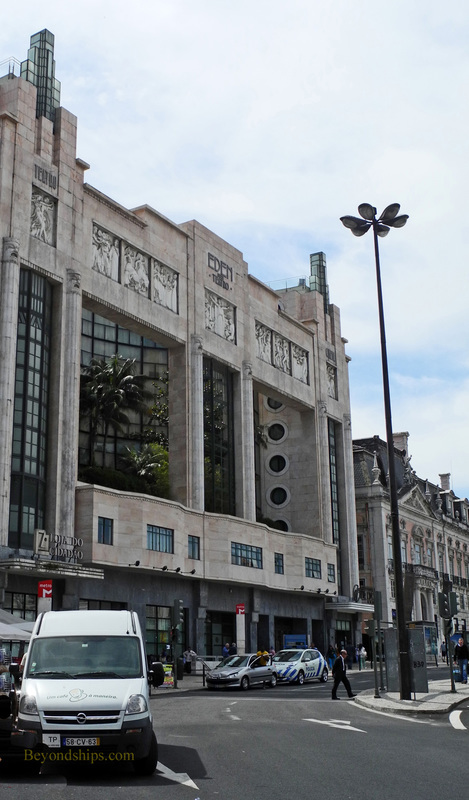 The former Eden Theater is an example of 1930s art deco. Once a cinema, the building is now a hotel. 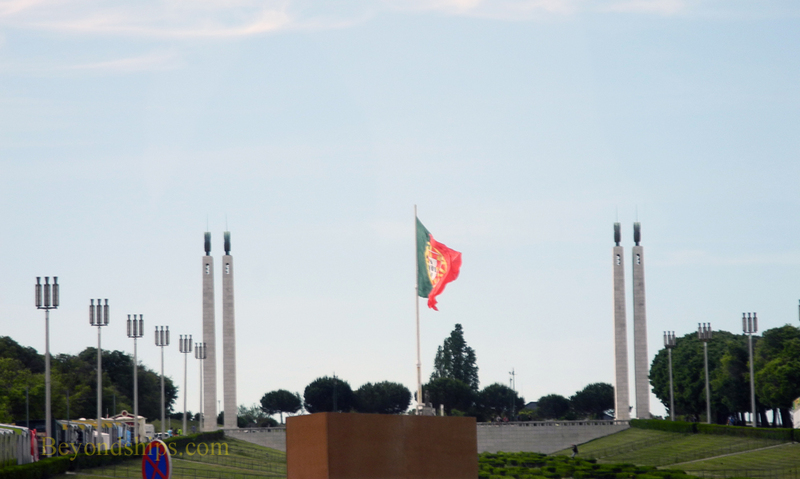 The obelisk in the middle of the plaza commemorates the restoration of Portugal's independence from Spain in 1640. 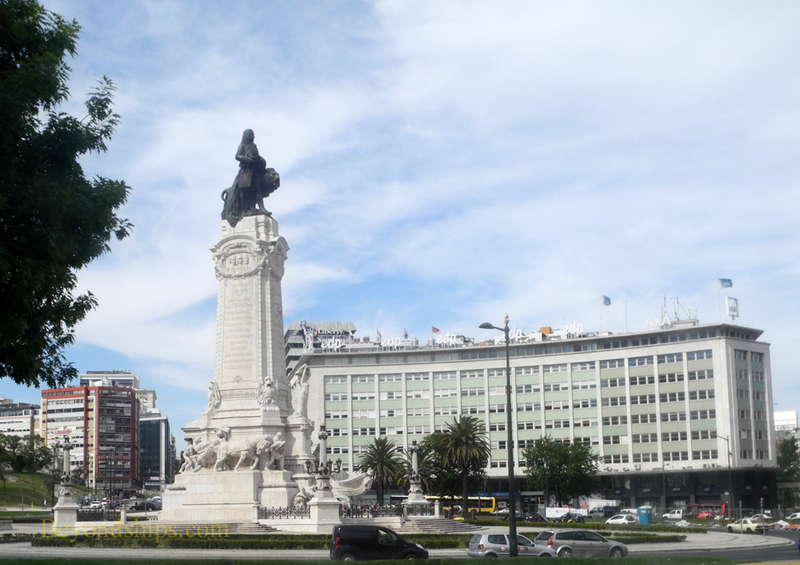 At the other end of Avenida da Libertarde is Marques de Pombal Square. The Marquis was prime minister under King Joseph I in the 18th century. During his tenure, he reformed education, agriculture, the economy and the political system. His greatest achievement was his deft handling of the aftermath of the Earthquake of 1755. The plaza named in his honor features a 118 foot tall monument that includes a statue of the Marquis atop a pedestal as well as several allegorical statues around the base. Beyond Pompal square is Edward VII Park, named after the British king who came to Lisbon in 1903 to reaffirm the ancient alliance between Portugal and Britain. Above: The Edward VII Park. 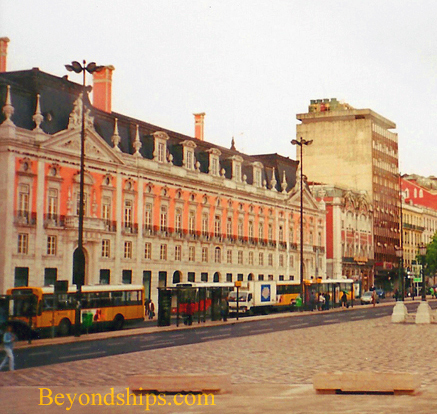 Cruise destination - - Lisbon, Portugal - Attractions - Avenida da Liberdade.